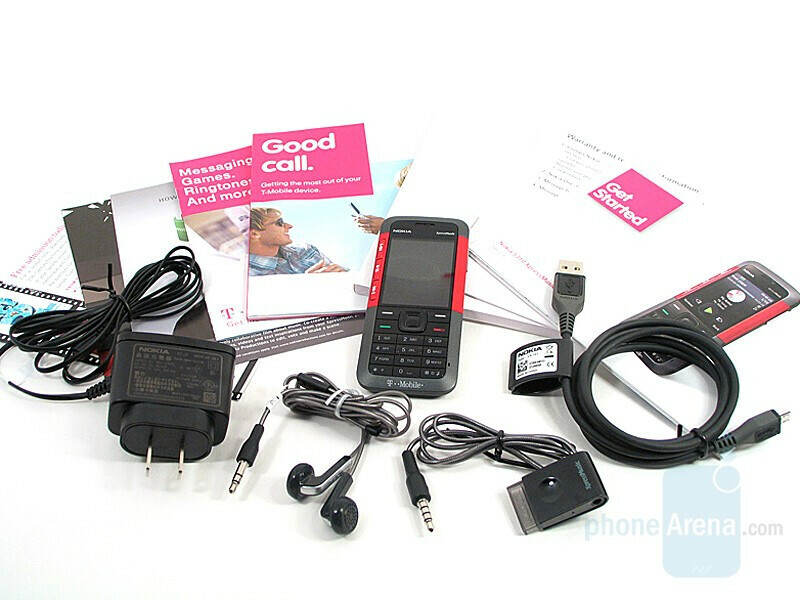 This is a GSM phone offered with T-Mobile. Whether it’s a smartphone, music phone, or a phone with a great camera that you’re looking for, there are so many models out there and several of them fall into very specific niches. 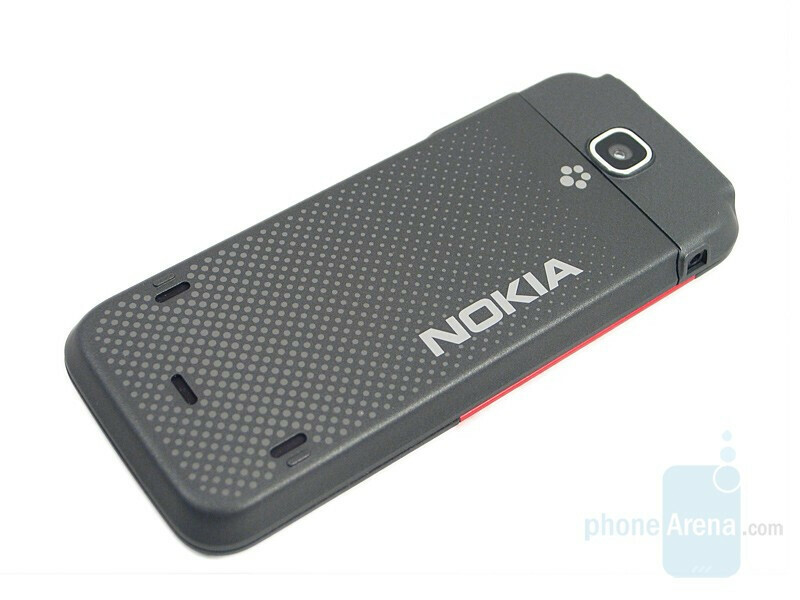 The Nokia 5310 XpressMusic is just one of them and falls inline with the rest of the XpressMusic lineup. 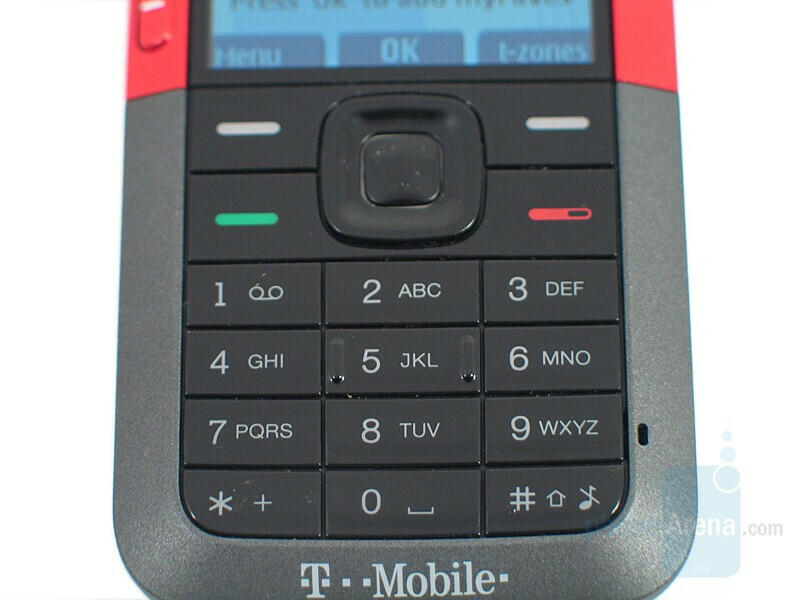 With its dedicated control buttons, 3.5mm audio jack, FM radio with RDS, and stereo Bluetooth, it would be rather hard to miss that this is geared for those wanting a great cellphone with outstanding music capabilities. 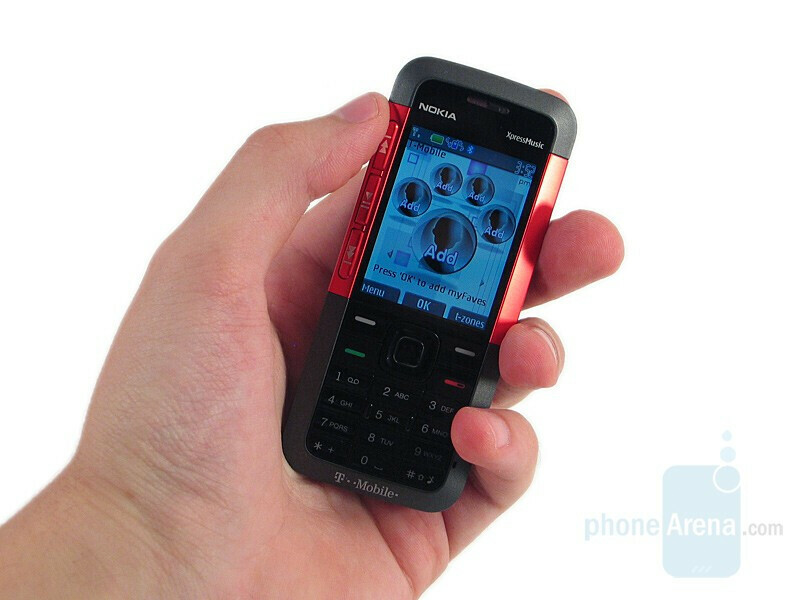 Nevertheless, we can’t forget about the rest of functions as this is still a cellphone at heart. The 5310’s look is very playful and appears to be directed towards the younger users. It’s mainly decked in black and dark gray but two strips, on both side of the display, are colored. They give the phone a nice touch and there’s a choice between purple, red, and orange. Even though it’s made of plastic, it has a nice feeling to it and doesn’t slide around. With a dimension of 4.1 x 1.8 x 0.4 inches (103.6 x 44.5 x 9.7mm), it’s quite small and we did find it a little odd to hold at times. Adjusting the hand or the position of the handset helped though. You can compare the Nokia 5310 XpressMusic with many other phones using our Size Visualization Tool. Of course, its small size does take a toll on other aspects. 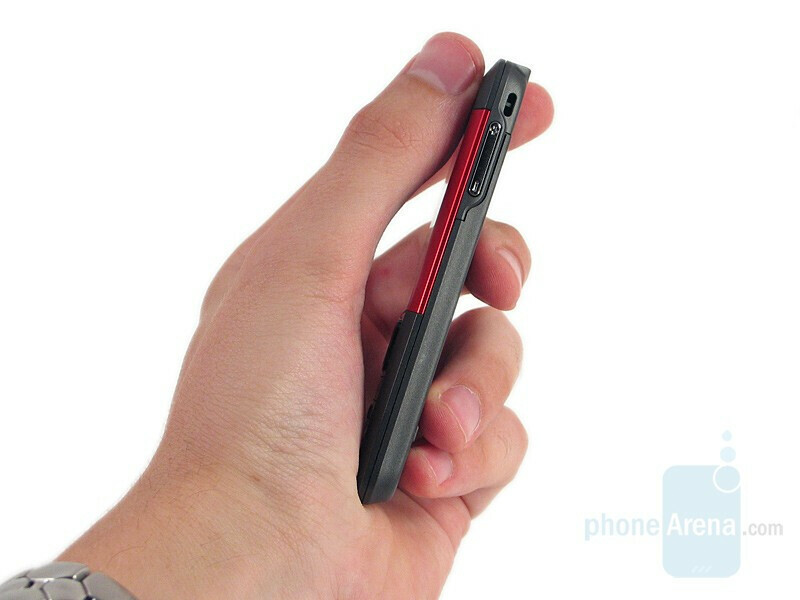 Firstly, its display measures in at only 2 inches. Still, it’s one amazing screen. Colors were realistic and sharp, and we had absolutely no problems seeing what was on it in even the brightest environments. So that there is no constant adjusting of the brightness level, there is a sensor located just above the display next to the speaker. Just to the left of the display are the control buttons for the media player. They’re quite small but fall perfectly within reach when held in the upper part of the hand. They’re easy to press and give back a slight feedback as well. Below the display is the keypad with a very traditional layout, nothing fancy here. 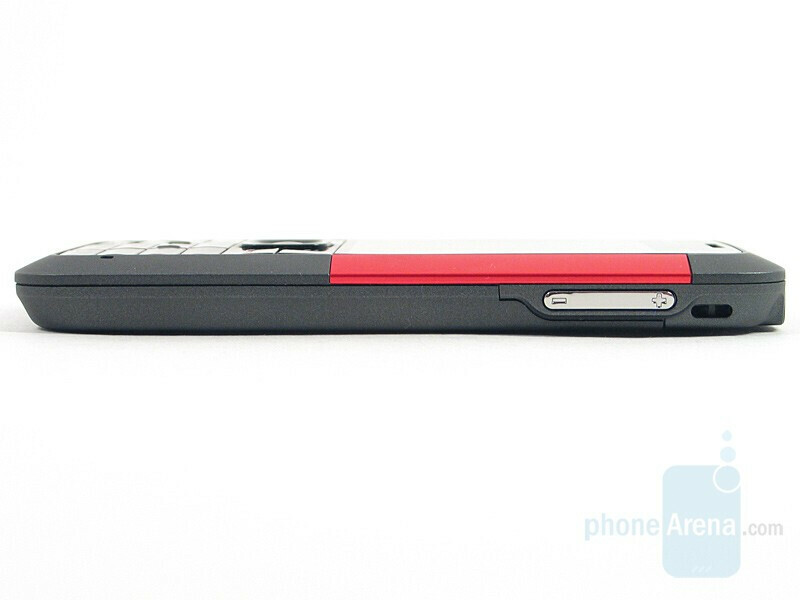 The keys are the second thing to suffer from the size of the handset and their surface doesn’t help them much. We had a rather hard time distinguishing them apart when texting. When we did, each one is slightly round and the slippery surface makes it easy for the finger to roll off and press the button just above or below it. When we were writing a message, each one was slightly round and the slippery surface made it easy for the finger to roll off and press the button just above or below it. The right side houses the volume rocker and strap hole while the left holds only the charger slot. 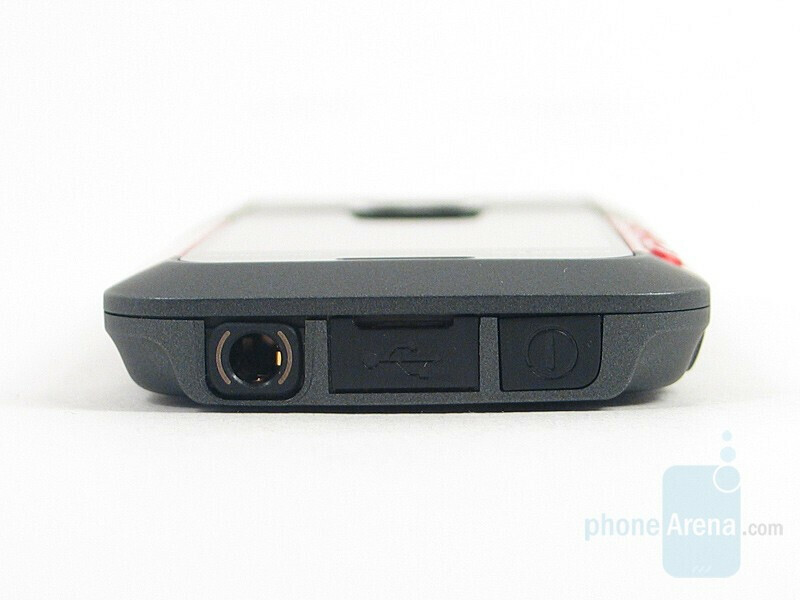 The top is where you’ll conveniently find the 3.5mm audio jack, microUSB slot, and power button. The cover for the microUSB slot was frustratingly hard to open and then keep from trying to recede back into its spot. 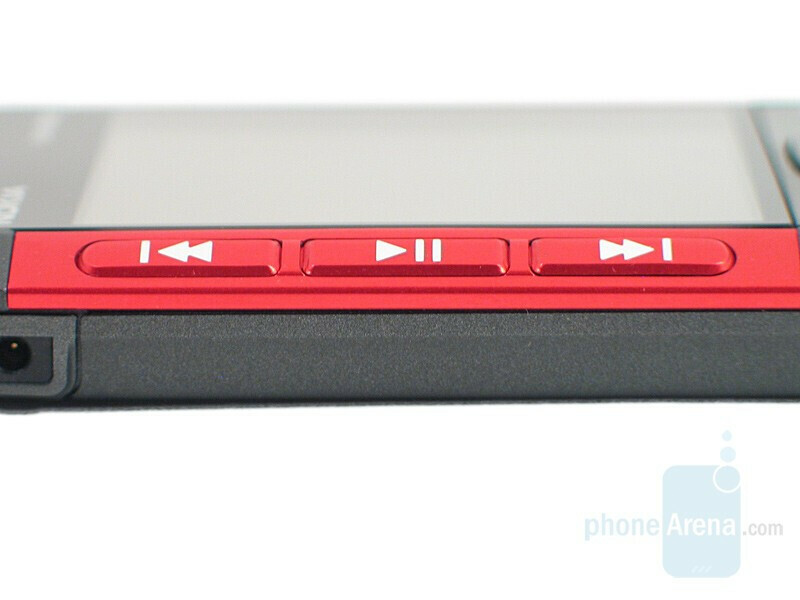 On the back, there’s only the 2.0MP camera module at the top and the loudspeaker at the bottom. 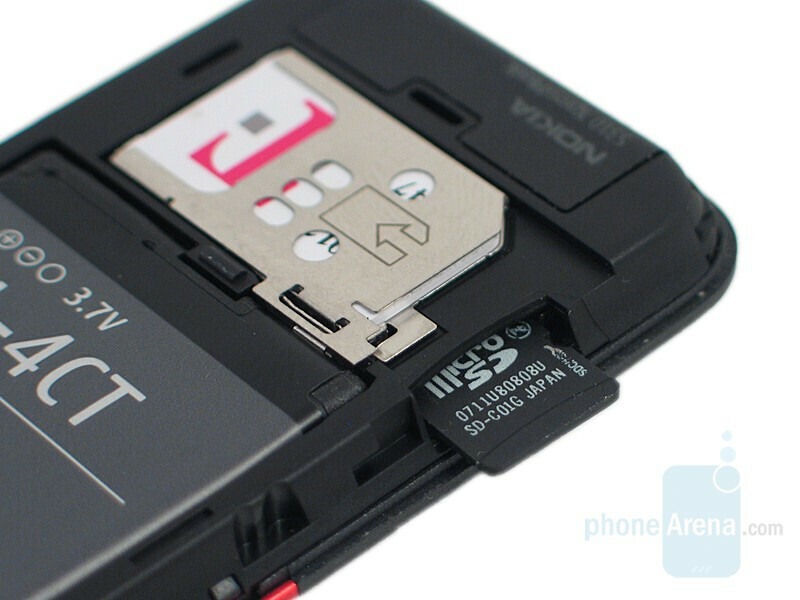 It was very disappointing to find that there is no dedicated camera shortcut button (though one can be set) and that the microSD slot is located under the battery cover. Luckily, it is not underneath the battery itself so only the cover needs to be removed when wanting to swap out the card.